When Lismore held its annual Lantern Parade, on Saturday, 23 June 2018, Poppi was front and centre with her own hand-made lantern after almost a year being actively involved as a lantern-maker with parade organiser lightnUp Inc. The Lantern Parade is one of Lismore’s biggest community events and attracts visitors from all over NSW’s Northern Rivers region. 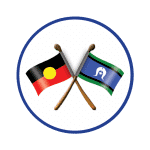 Thousands turn out to see schools, businesses, community groups, government departments and others walk through the streets of downtown Lismore with their individually crafted lanterns, lighting up the midwinter night sky. 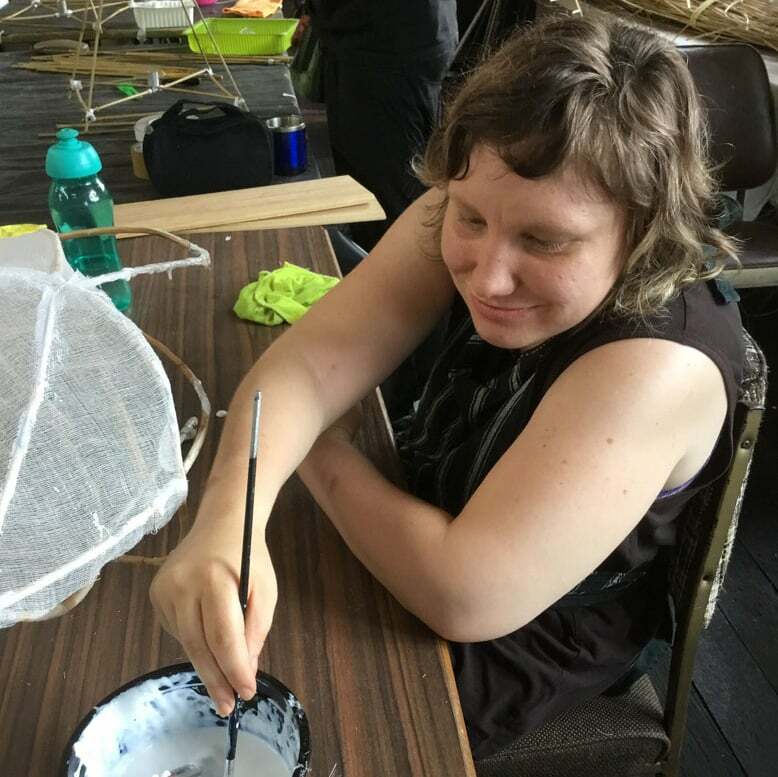 What the spectators don’t see are the months and months of preparation leading up to the event, and Poppi at this stage is the only person with a disability who rolls up her sleeves and actively participates in lightnUp’s lantern-making workshop. She attends every Wednesday, rain hail or shine. Mum Tarlai says the workshops have been “incredibly beneficial and inclusive” for Poppi. 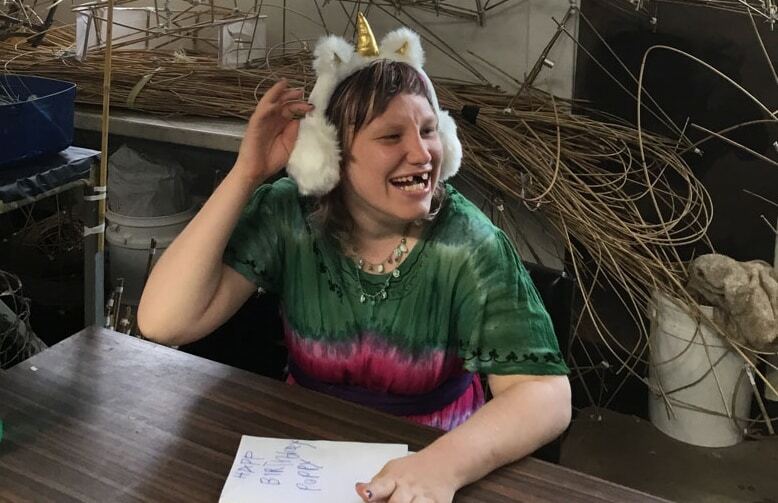 “She’s been learning a lot but it’s been a two-way street – she’s been teaching other workshop participants about how to communicate with people who can’t communicate verbally,” Tarlai says. 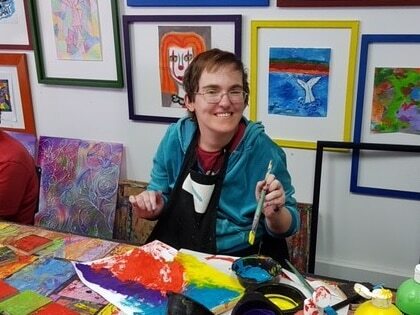 The 27-year-old has a severe intellectual disability and for many years, she has lived in supported accommodation in an isolated area with few opportunities to join in community activities. That changed two years ago when Poppi was able to move back in with her mother, in Lismore. The National Disability Insurance Scheme (NDIS) accepted Poppi’s application in early 2017. 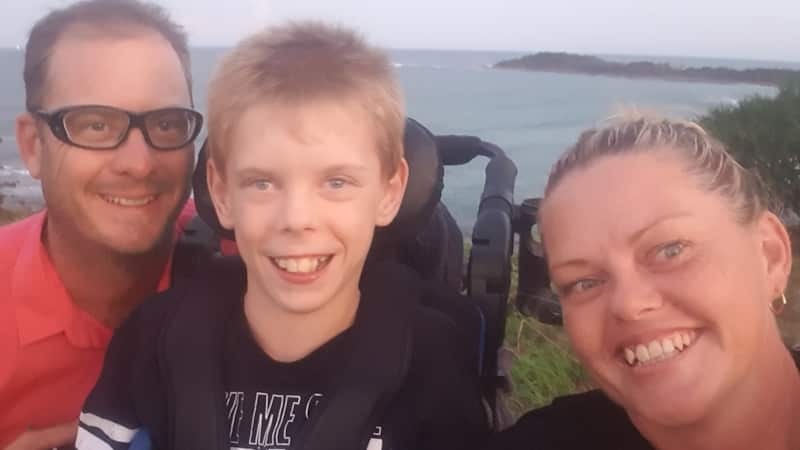 “Poppi’s plan came through in July 2017, and basically since then her life has changed out of sight,” Tarlai says. Tarlai says that with her Masters in autism and with her personal experience she has been able to manage Poppi’s plan on her behalf. “We’ve directly employed eight people who support Poppi during the week with daily living activities and community access. 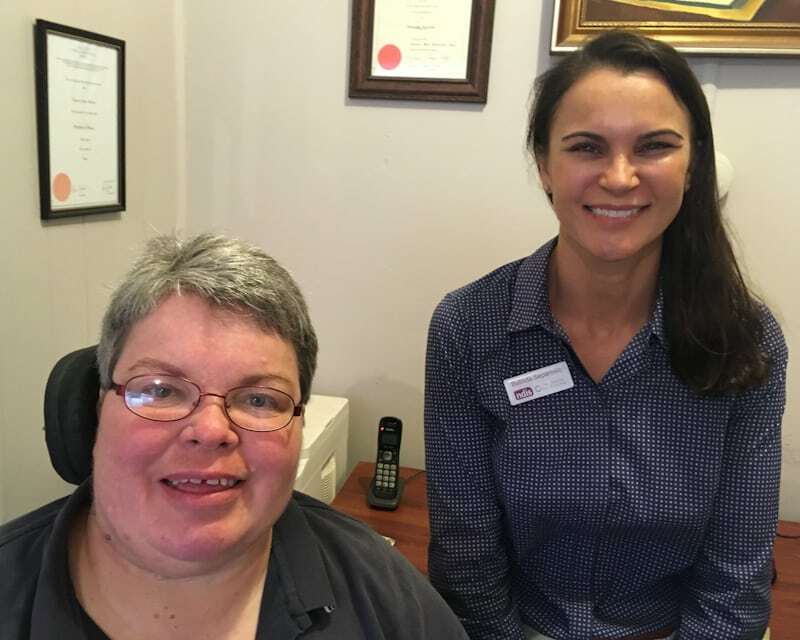 She also attends local community-based disability service provider RED Inc. for centre-based activities such as dance and the signing choir,” she says. Poppi gets around using a walker and uses an AAC (Augmented and Alternative Communications) system on her iPad to communicate with others. Tarlai says Poppi is “pretty much non-verbal but she understands a lot of what others are saying”, so having the AAC app to help with two-way communication has been “huge”. “My daughter is so much happier now,” Tarlai says. “She is no longer defined by her disability in terms of her social inclusion.